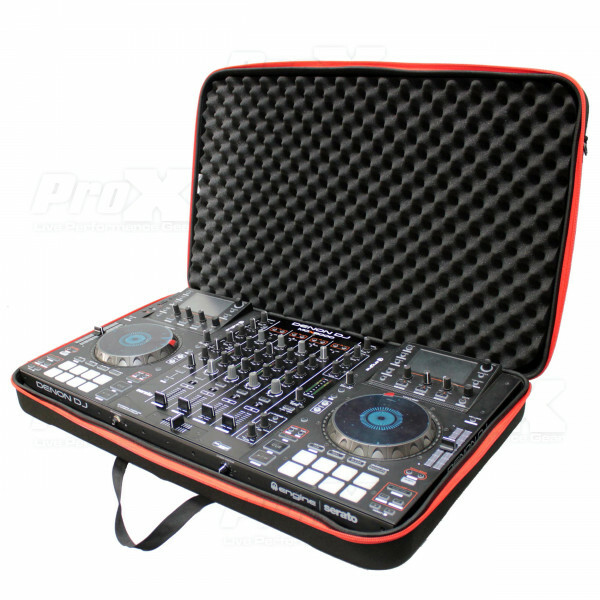 The ProX XB-DJCL ZeroG™ is specifically made for Large Sized Controllers. 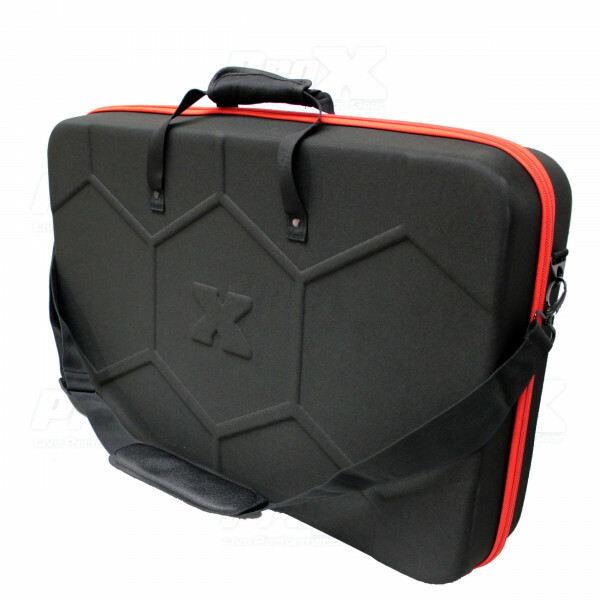 The ZeroG™ series is a great product falling between a traditional hard ATA style case and a soft padded bag. 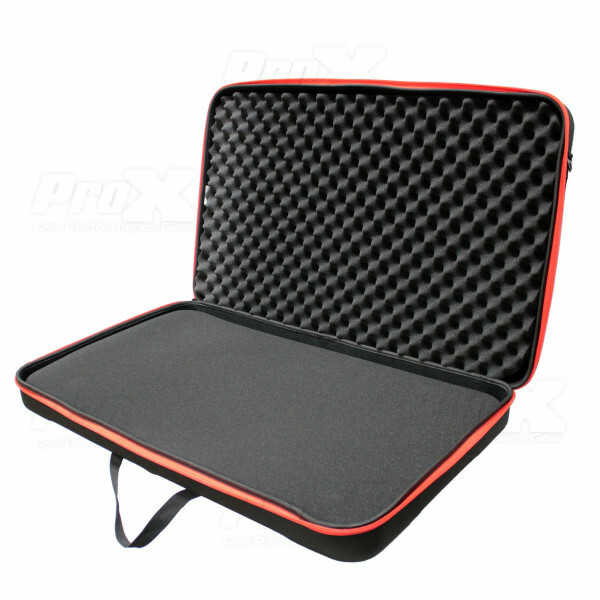 This ProX Ultra Lightweight Molded Hard-Shell Bag with a hard-shell reinforced molded EVA exterior, lined with a high density foam padded interior and a tough zipper is the perfect compliment to your gear when you want a strong, ultra-lightweight, good looking case for your equipment. This unit is not your typical soft bag, it is a hybrid product combining the light weight and utility of a bag with the additional protection and durability afforded by the hard shell exterior and high density interior foam. The ZeroG™ products are ideal when you need to transport your controllers and the use of a traditional wood and steel road case is not practical. It is great for carry on to aircraft, or for easy transport by Club DJs that travel from venue to venue. 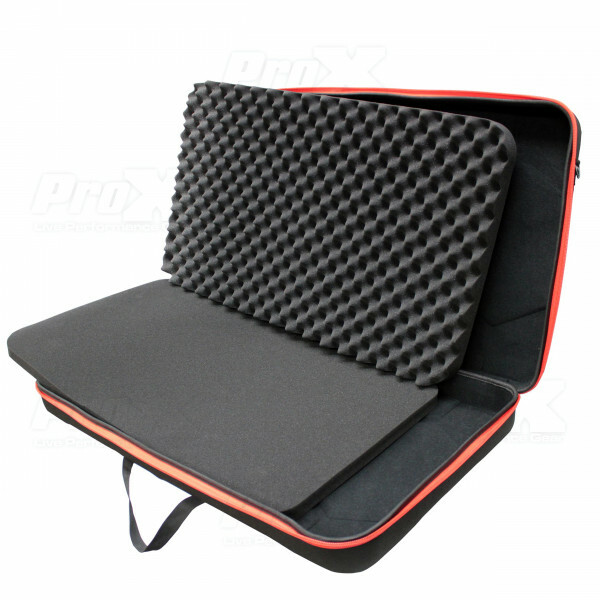 For your controller that needs protection, a thermoformed ZeroG™ ProX EVA Hard Bag is an ideal solution. Due to it’s durability and rigidity, EVA units offer a great alternative to hard plastic cases and road cases, without sacrificing protective properties. Our proprietary lamination process creates better adhesion of cover materials to the formed foam interior. Ethylene-Vinyl Acetate is an incredible copolymer that serves multiple application purposes. Originally known for it’s use in shoes, EVA material is sometimes referred to as foam rubber. However, our thermoforming process allows us to utilize this material to create “hard-shell” bags that are softer to the touch than cases, and won’t crack like plastics and have substantially less weight than traditional road cases. This means our customers get the protection and durability needed to protect their gear while also having a branded, aesthetically great looking way to transport their controllers. 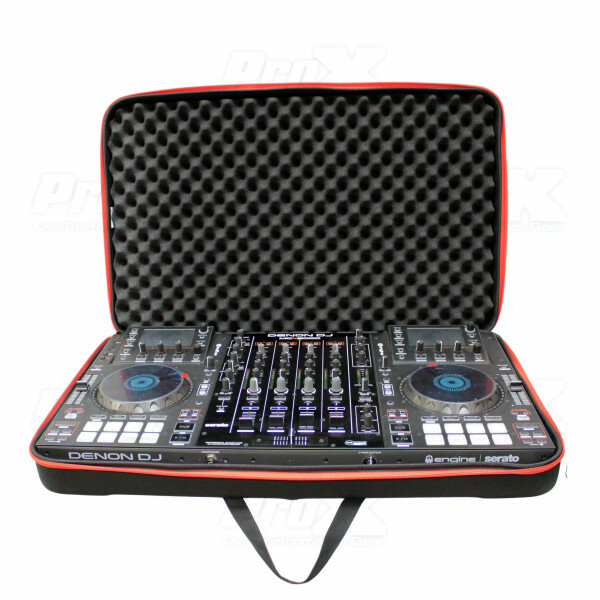 Large sized DJ Controllers up to 29" x 17" x 3"